Hong Kong got a long sleeved heathered Pink Paradise Swiftly. I might need this. &Go Swing Trench. This is the coat from the sneak peek video. I don't care for the collar at all. It's made of Glyde. Funky DWR Race to Place Hat in Alarming. I'm in love with that Paradise Pink Long Sleeve Swiftly! I really want that one to come to Canada. 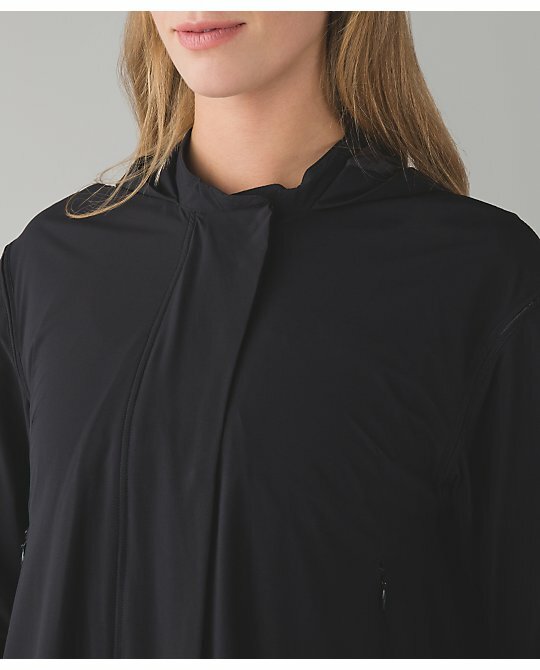 When I first saw the & Go Swing Trench in the Sneak Peak Video I was so excited for it to hit the stores BUT now that I have seen pics of it I have changed my mind. The collar or should I say no collar is horrible. 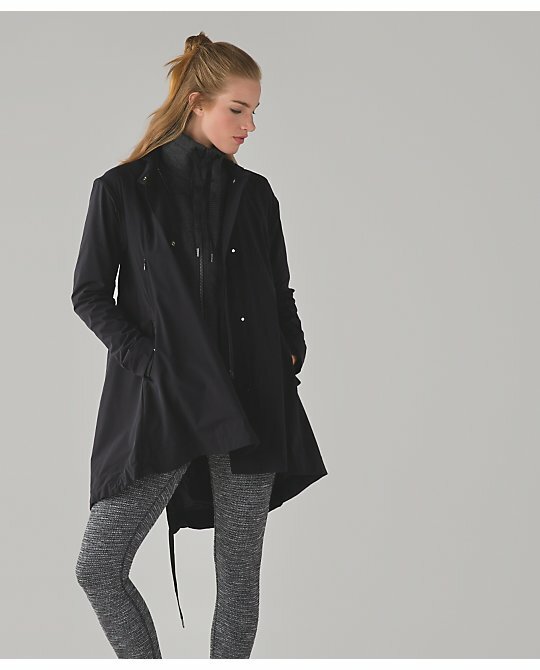 The main reason for me wearing a trench coat is because it's cold, windy or rainy but to not have a collar to keep my neck warm is a huge miss on this jacket. I could care less now if it ever comes to Canada. The &Go Swing Trench is a disaster. What a waste of design, time, fabric and money. So many misses these days. I'm still buying basics - swiftly tanks and SS, speeds (when it's a pattern I can't live without), CRB's (when not poly, solid colors that aren't non-stop repeats, soft luon and not scratchy - so basically just a couple a year now) but other than that the design misses are more often than hits and they leave me looking at other brands now. 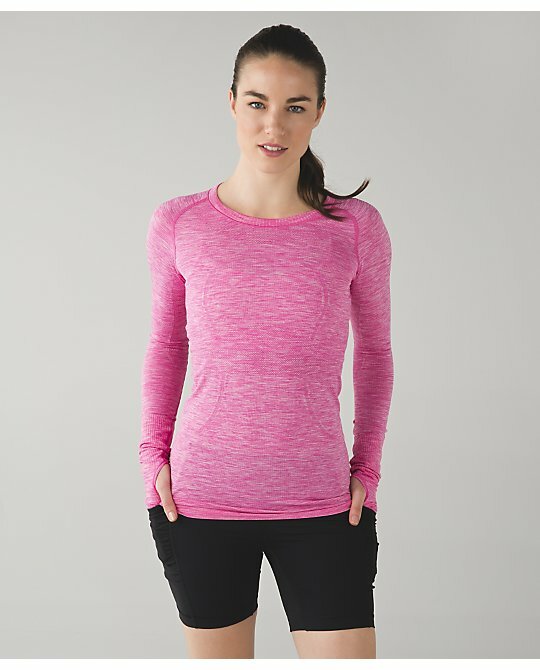 I've bought some UA winter run tops that have quickly made it to the top of the grab list for running over even some of my lulu tops. I thought Christine Day was horrible but maybe, in hindsight, she wasn't as bad as we all thought at her job. At least we got the seasonal stuff DURING the actual season that we could wear it. I definitely bought more stuff when she was running the company. Maybe she was just trying to hold it all together and the new guy is letting it all hang out and it's become quite the disaster. Now we are getting all the long sleeve and wraps and jackets that should have come out in November/December now....past the season that we need them for. Same with the new Lucent run line - Ice Queen tights - those should have been out months ago when we were all running in the dead of winter. 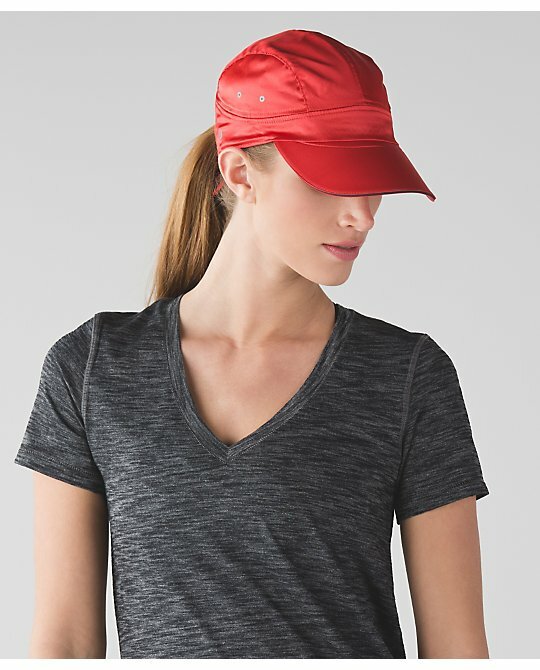 4:53 I thought it had a collar, but it is the shirt the model is wearing. I agree with you, not having a collar when it is chilly and wet is a no go, unless they are assuming that you would wear an under layer with a collar or a neck warmer of some sort. @ anon 7:46 am - I feel the same way about Day - at least stuff got out in time. 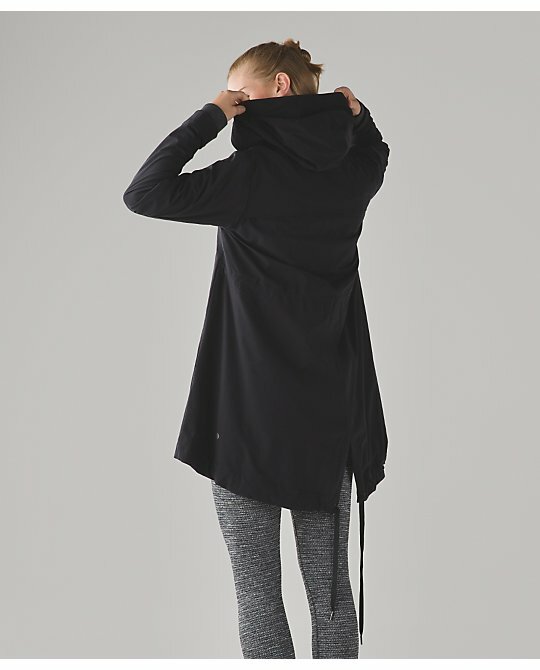 Thanks to Potdevin the Dance Studio Pant got narrower, the Dance Studio Crop and Jacket got shelved. Guess who I wish was at the helm? Anon @3:41, don't forget the killing off of the Pace Setter Skirt, the Scuba II, and the 105F singlet. 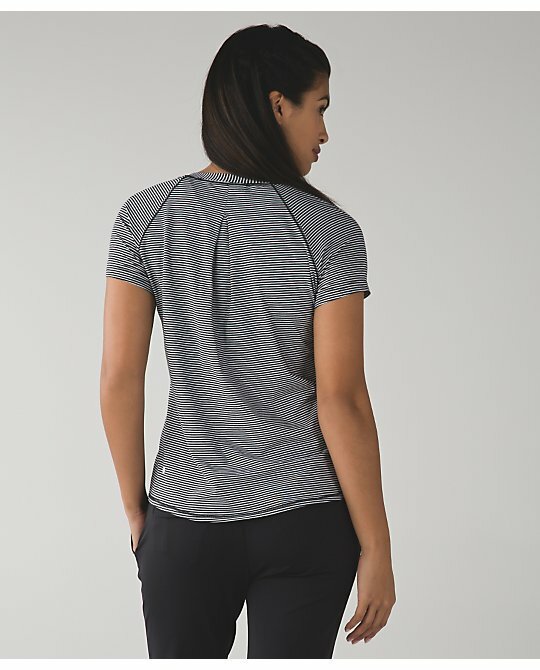 So many products that were Lulu classics have been watered down or discontinued. Lulu's focus right now is opening new stores, which is a good thing, but expanding while allowing your product line to collapse is not smart. Thanks Rise and Shine. I thought of these items the second after I hit "publish" on my remark. I think there is such a disconnect between new management and their customers, not realizing how important these classics were and still are to us. For example, the Dance Studio Crop, may not have been the most stylish crop but IMO they were the most comfortable non-compression crop out there and the new powers that be just didn't get that. Product they came out with to replace some of these classics are a fail in my opinion. For example, the 105F Singlet with scalloped hem was a classic. First the scalloped hem was taken away, I guess a basic hem is cheaper to make. It was like new management had to get rid of all the classics in order to make way for their versions. It wouldn't look good for them to have the Pace Setter Skirt still on shelves selling better than the Pace Rival Skirt or Dance Studio Crops still on the shelves while trying to sell the In Flux Crop or the 105F Singlet competing with What The Sport Singlet. I am not very optimistic that we will ever see these classics back again but I can always hope. I miss the Scuba II. I won't purchase the new Scuba III because it is not at all flattering on me compared with the II. Plus it just looks so basic and plain. Also same thing with the new DSP III, I will not purchase those either as they do not look as good on me as the IIs. They look a lot more plain now too and also more like a men's pant imho. I used to purchase any new colour of Scuba II and DSP II that caught my eye since discovering them about a year and a half ago, in that short amount of time I acquired 30 Scuba IIs and 20 pairs of DSP IIs! There have been a lot of Scuba IIIs that have come in some nice colours and prints that I would have bought if they were IIs! So disappointing. I know I'm not alone with this. Taking away and changing classic favourites (seems like the changes are to cut manufacturing costs and not for customers benefit - yet prices go up!) is losing loyal fans. I also miss the Pacesetter Skirts and have a number of those but have not purchased any skirts since those were discontinued. 6:31 I agree with you regarding the pace setter and the DSP. It actually takes time and money to re design stuff. I am glad I still have like 21 pace setters and just purchased a few DSP II. I don't own any scubas so can't make any comments about them. 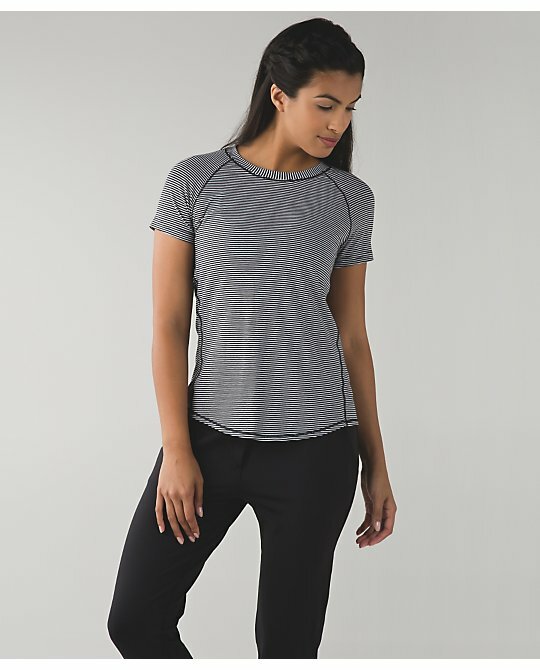 the competition is catching up with lulu, I see a lot of people shopping in the athleta and sweaty betty boutiques here in NYC.